Which Console Should You Buy This Christmas? Xbox One S? PS4 Pro? And Others! So, this time of year, with the holidays approaching I get asked a lot about which console to buy as a gift. It seems like a rather easy question to answer, but it’s not as strait forward as one might think. There are a number of things to consider when buying a console. First not all games are released on all systems, there are a small percentage of games that are exclusive to one console or the other, also not all game developers support every console. Both Microsoft who produces the Xbox, and Sony that produces PlayStation each have in house developers that only create games for their console. For example Microsoft owns 343 Industries the folks behind the Halo games so you won’t be seeing a Halo game on the PlayStation. Likewise Sony owns Naughty Dog the studio that created the Uncharted game series so you won’t see it on Xbox. Most game developers however are independent of both companies, and are free to develop or not develop on whatever system they wish. Now in some cases Sony or Microsoft may make a deal with a developer for a game to be exclusive to their system, but the vast majority of games come out on as may platforms as possible for obvious financial reasons, sell more copies of said game. So you have to figure out what system has the exclusive games that they want to play the most. I personally feel that Xbox has the better exclusive titles right now. Another thing to consider is what console do the friends of the person receiving it have, since Sony and Xbox have their own proprietary networks for online play, and are not compatible with one another. Now as if that wasn’t confusing enough both companies are releasing newer versions of the Xbox One and PlayStation 4. The Xbox One S is currently available and is a revised version of the Xbox One, it’s smaller and has a 4k Blu-ray disk player for 4k movies, and video. This is not to be confused with the Xbox Scorpio that is coming out fall of 2017. Sony is releasing the PlayStation 4 Pro on November 10 2016, it will support 4k video, and is more powerful than the standard PlayStation 4, but does not have a 4k disk player. Both of the updated consoles will work on non 4k tv’s, so if you have a standard HD tv like me they will still work. All Xbox One games work on the One S as does PlayStation 4 games on the Pro according to both Microsoft and Sony. 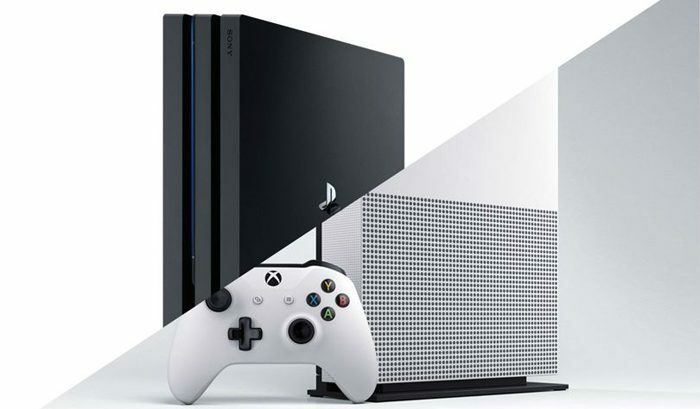 Another thing to consider is personal preference, I own both a Xbox One s, and a PlayStation 4, I prefer playing games on my Xbox if possible, now that doesn’t mean it’s better than the PlayStation, from a performance stand point both systems are really close. It’s just my preference, it’s like when someone prefers one brand of car over the other. Another thing I would consider is getting a game, and extra controller since they aren’t normally included unless you get one of the bundles that both companies offer particularly during the holiday season, if you shop around you can usually find some pretty good deals. Now some of you are probably wondering why I haven’t mentioned Nintendo yet, well their current console the Wii U is not selling that well and a number of developers are not creating games for it. Nintendo did announce a new console coming in the spring of 2017 so not in time for this xmas. Probably the easiest way to handle this is to just ask the person what they want, and go from there, I know with my nephew he makes sure everyone knows exactly what he would like. Let us know in the comments which console you would buy and why. My name is Paul, I have been playing video games for over 30 years, my first console was a pong machine, no I'm not kidding. Right now I have a Xbox One, and PS4, but mainly play on the Xbox. My favorite games are RPG's or games with some RPG elements, for example KOTOR , and Destiny. I'm also a Microsoft Xbox Ambassador, and a former GameStop employee. here is the ps4 pro overheating at the paris week event.i wouldnt get itid get a xbox one s instead. Nah! Even if it were a generalized problem with the ps4 pro, just getting a regular ps4 gives you a better machine than the xbone s, with more games and better exclusives, it even has the option for VR which is totally absent on the xbone. Yeah, I’m here, you can run away now. (you are free to lol on your escape). I think Xbox is looking at augmented reality, but I have heard the Xbox Scorpio will support VR. Hvd, I didn’t hear about this, might be a good idea to wait before I buy one. at least wait.im hearing the ps4 pro mite be in limited supply because of it.every console after launch has heating issues the xbox 360 and the ps3 both had issues the ps4 had the red line of death annd it takes a while to work out these issues. its why i dont think we need mid gen consoles by the time the issues are worked out the next console will launch with the same issues. Yea, i’m not sure how I feel about the mid gen console thing. all fanboy aside im keeping my xbox one until xbox tow comes outi.it will be 3-4 years until i buy a 4k tv any way so im going to wait for the xbox two. Yea, if your not going to get a 4k tv for a while, I would not be in a hurry to get a new console. yep there is still plenty of life left in the ps4/xbox one. Mohammed, I think your right about the sports, and fps games, and I see a lot more Japanese titles on the Playstation, of course Playstation is much bigger in that part of the world than Xbox.